Welcome Newborn Baby Boy to the world filled with quality and love. 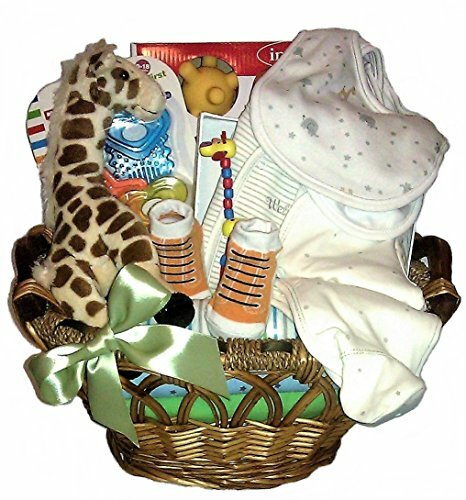 Featuring a 3 piece layette, bibs, booties, Plush Giraffe, Fun and Educational Toys, Receiving Blankets and more. Wrapped with clear cellophane, satin ribbon and your gift message card. If you have any questions about this product by Goldspan Gift Baskets, contact us by completing and submitting the form below. If you are looking for a specif part number, please include it with your message.